As the so-called Millennial generation enters the mundanity of their 30s and family life, the cohort of people born around the turn of the millennium have taken the world by storm. While this group is referred to quasi-officially as Generation Z, another moniker better captures its essence: the Selfie Generation. Young people presently in their teens to early 20s have never known a world without the Internet and scarcely remember life before the iPhone. They are utterly at-home in the shifting sands of the social media landscape, and their ability to ride the waves of popular culture – and even induce them – has given them an out-sized level of influence unlike any group of youngsters before them. But recent data show that this level of self-absorption can be deadly. One is an old harm in a new form. Since the advent of Internet chat rooms, there have been occasional incidents where ordinary bullies magnified their reach by adopting a false name and manipulating the victim’s feelings. The suicide of Megan Meier  is one famous and tragic example of this phenomenon. The ubiquity of today’s social media eclipses that of MySpace (where Meier was abused) and increases the risk of harm. An emergent threat is what has been dubbed “Snapchat dysmorphia,” a psychological condition  that describes the internalization of unrealistic standards of beauty caused by pervasive “flawless” images on social media. Although these images are the products of creative lighting, makeup, and “filters,” young people who consume them without limitation begin to hold themselves to these impossible heights. The result can be rejection of one’s own appearance, depression, and even self-harm. 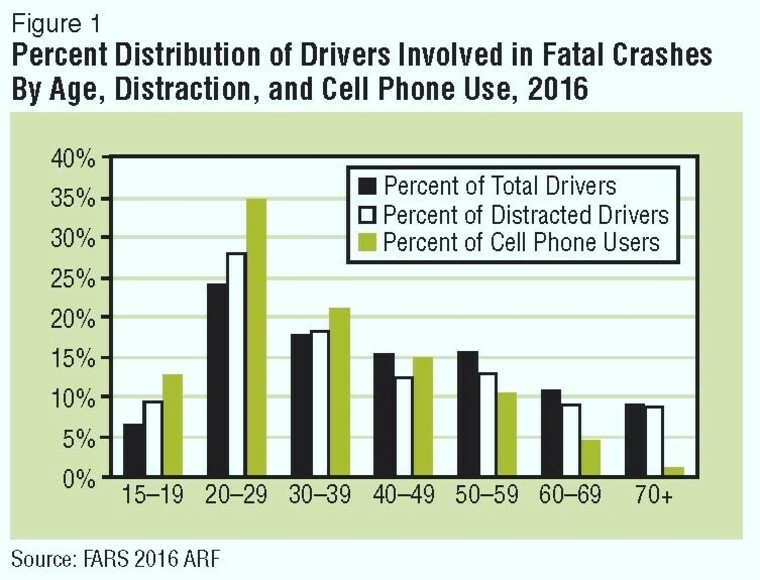 According to data from the National Highway Transportation Safety Administration (NHTSA), vehicle occupants are at the greatest risk from distracted driving accidents. While nearly one-fifth of traffic fatalities nationwide are those of cyclists, pedestrians, or other non-occupants, fully 84 percent of distracted-driving deaths are those of drivers or passengers. While it will take many forms of persuasion to break the habits of distracted drivers, one additional argument to wield is this: “Even if you cannot bring yourself to care about those around you, this behavior puts YOU at even greater risk.” Maybe that will get through where other messages do not! One limitation on this data is that not every state participates fully in NHTSA’s information-sharing program. While two-thirds of the states provide computerized data to the State Data System, Nevada is not a participating state. While providing this data would not, with the flip of a switch, make us safer, it would help lawmakers better understand the causes of car accidents in Las Vegas and beyond. As the legislature heads back into session this coming spring, it’s something we should bear in mind. Did you Know: As of March 2019, Benson & Bingham have 113 5-Star reviews for their Downtown Location and 20 5-Star reviews for their Summerlin Location at the Yellow Pages?